“What? Native wasps?” I hear you say. Yes, thousands of them! And they don’t sting! 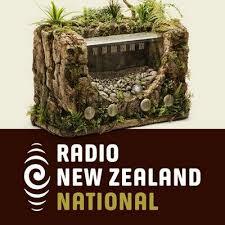 I was interviewed on Radio New Zealand’s ‘Our Changing World Programme’ by Alison Ballance. We chatted about our misunderstood parasitoid wasps, my masters research, and the value of taxonomy. You can check out the interview here. Happy listening!